Around 100 African White-backed Vultures can strip a 100-pound carcass clean in about three minutes. 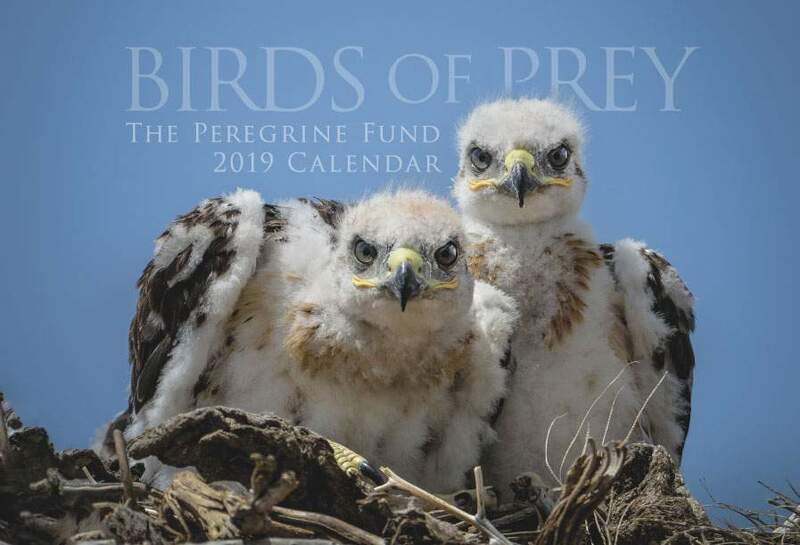 The Peregrine Fund is working hard to protect African White-backed Vultures, and many other vulture species in Kenya and throughout Africa . The White-backed Vulture is a Sub-Saharan African species that can be found from Mauritania east to Sudan and Ethiopia and south to northern and eastern South Africa. True to its name, the White-backed Vulture, otherwise known as the African White-backed Vulture, has white feathers along its back . It also has a white ruff around its neck, a dark brown head, and a shiny black beak. Its wings are contrasting white and brown. Like most large vultures, the White-backed Vulture travels great distances and spends much of its time soaring overhead in search of food. Juveniles may travel far and wide as they disperse from, or leave, their parents' territory. Scientists documented one young bird traveling 600 miles away from its home territory! Scientists believe that the White-backed Vulture, like most other vultures, often relies upon other vultures and scavengers such as jackals, hyenas and even dogs, to locate food. This vulture will search out concentrations of other vultures or even other scavenging animals, as this probably means that there is some tasty food around. Upon seeing other scavengers, they fly low to investigate the scene. Once a carcass is located, the birds may wait in trees or on the ground nearby for long periods of time before moving in to feed. There is often a pecking order at a carcass, with the larger, stronger scavengers pushing the smaller, weaker ones out. Like many vulture species, the White-backed Vulture is a very fastidious bather – meaning it spends a considerable amount of time getting clean. It often spends its afternoons at waterholes where it will bathe and then just generally lounge around for hours. The African White-backed Vulture was one of the most common African vulture species in much of sub-Saharan Africa, avoiding only the denser forests and very dry habitats. Recently, however, scientists are reporting alarming population declines in this species' numbers. It took biologists a while to discover the cause of these declines, but when they did, the answer was shocking. In Africa, vulture numbers are dropping dramatically due poisoning from many different types of poisons including a carbamate pesticide called Carbofuran or Furadan. This pesticide is being misused by livestock owners and some pastoralists to poison predators like lions and hyenas that attack their livestock. When Furadan is sprinkled on a dead cow that is then eaten by other animals, they die too. This affects not only lions and hyenas, but also jackals, vultures, Tawny Eagles, Bateleurs, and even storks! 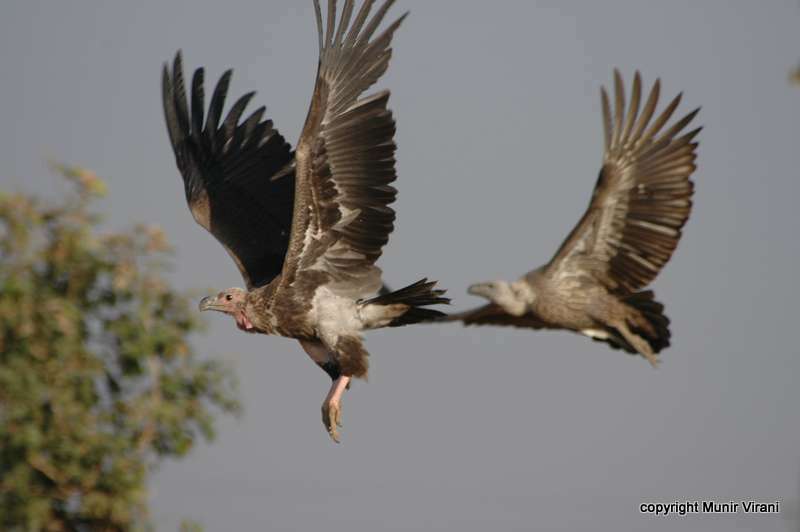 Populations of White-backed Vultures, Rüppell's Vultures, and Hooded Vultures have been so badly affected by these poisonings that they are threatened with extinction. White-backed Vultures, like other vultures, are principally carrion eaters, which means they eat animals that are already dead. White-backed Vultures search for prey by soaring far and wide, using their eyesight to spot a meal. They are also attracted to large congregations of other raptors or scavengers, as this usually means that there is a feast nearby. White-backed Vultures generally feed on dead zebra, wildebeest, buffalo, cows or the remains of pretty much any large animal they can find. Usually, several species of vultures, including the White-backed Vulture, will gather at a single carcass. Individuals often spar, or fight, with each other to maintain the best position at the carcass. 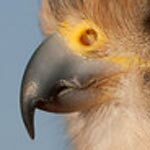 Where they occur together, this species is subordinate to the larger Cape Vulture and Lappet-faced Vulture. Like all vultures, White-backed Vultures have very few feathers on their heads. When they eat, they often need to put their heads deep into the cavities of rotting carcasses. If particles of this meat got deep into their feathers, they might cause bacteria or germs to grow. Though some people might think vultures look ugly, the fact is a bald head helps keep vultures healthy – and the more healthy vultures we have around the better. The African White-backed Vulture is a colonial nester, which means it often nests very close to many other vultures. The vultures build a large platform-like structure out of sticks, branches and other materials in the top of large trees or, on some occasions, on the tops of electricity pylons. The female vulture usually lays one egg, but once in a while she lays two in one clutch. The eggs are plain white with few distinct markings. The female and the male both share in parental duties, incubating the eggs to keep them safe and warm for almost two months. After the chick hatches, both parents help feed it until it ready to forage on its own. The World Center for Birds of Prey offers fun ways to learn about birds of prey. Interactive activities, tours, interesting videos and a children's room with activities from coloring sheets and quizzes to costumes and a touch table are available for the curious mind. We also have several different birds of prey on display year-round, including California Condors and a Turkey Vulture. 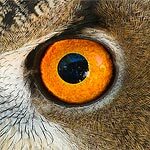 Come for a visit, where our knowledgeable staff and volunteers are on hand to answer any questions you may have about White-backed Vultures or other birds of prey.